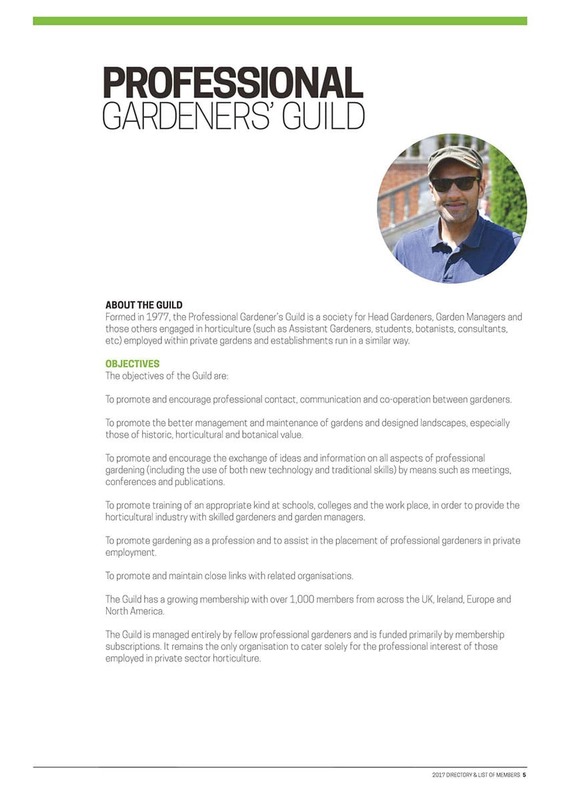 Formed in 1977 the Guild is a society for Head Gardeners, Garden Managers, Assistant Gardeners, Botanists and Consultants. 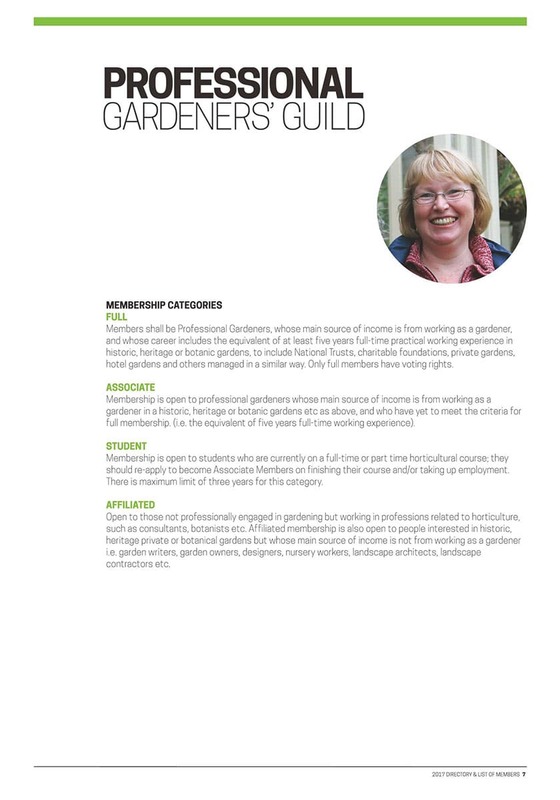 Its members are employed within private gardens and the gardens and estates of the Historic Houses Association, the National Trust, English Heritage and the Royal Palaces. This unique group of decision makers are responsible for some of the largest and most prestigious gardens and estates in the UK and Ireland (estates and gardens like Castle Howard, Chatsworth, Hever Castle, Hestercombe, Kelmarsh Hall, West Dean). 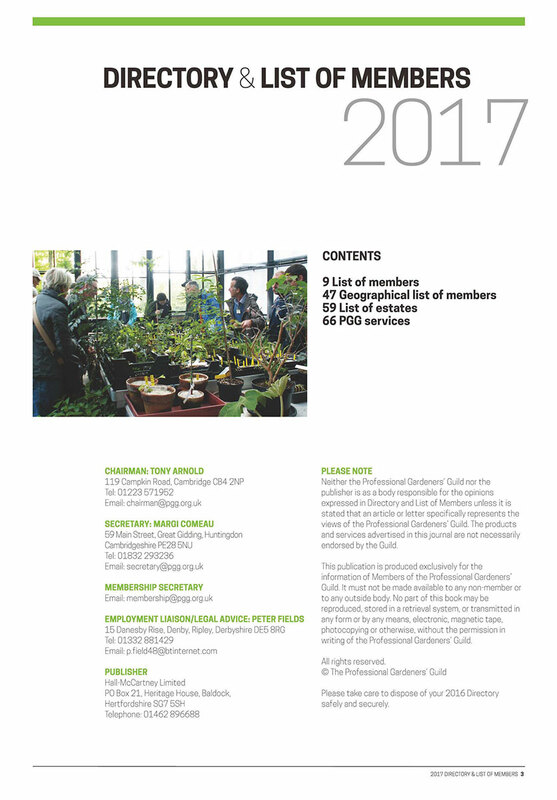 The Directory provides direct access to all members of the Guild in a publication that is both attractive and useful which will be referred to regularly throughout the year and offers excellent value for money.